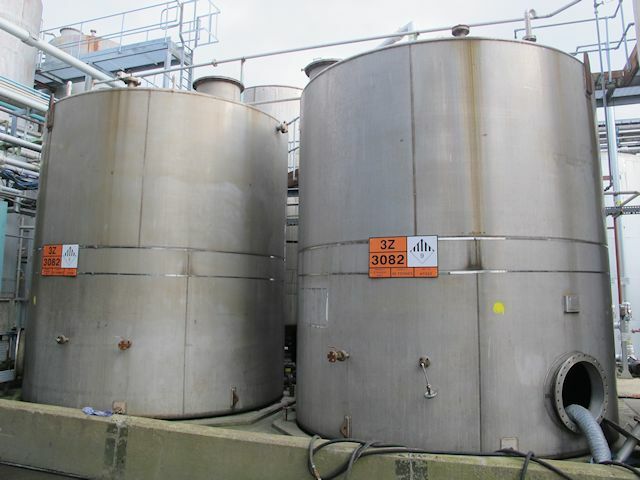 Matched pair Used 45,000 Litre 316 Stainless Steel Storage Tanks, built by H. Pontifex & Sons Ltd, 1988. Orientation: vertical, cylindrical, flat bottom, tented top. Dimensions: 3800mm dia, 4800mm overall height. Previously used on chemicals.